Since I don’t get much traffic, I’m hoping no one will find this and be offended for no other reason than to be offended. I have been thinking a lot about the whole Confederate Battle Flag kerfuffle. I understand the history of the flag. I understand that after the war, it pretty much fell out of use for 100 years. I understand it became popular in the 1960s as a symbol of rebellion against the American Civil Rights movement. I see the masses rushing to condemn the flag now, because of the actions of Dylann Roof, a crazy-assed murderer. The thing about the knee-jerk reaction of banning the flag is that if Dylann Roof had waved a flag with the McDonald’s golden arches on it, would we be banning that flag? Of course not, because that is ridiculous. But the flag of the Lost Cause has a lot of romanticism attached to it, in addition to it having been the flag of the Army of Northern Virginia. Even though the war was lost in the south, people are proud of their ancestors who participated in that war. There is a feeling that their ancestors fought for what they thought was right. I don’t understand that thinking, because the southern states very clearly stated in their Articles of Secession that they wanted to preserve the institution of slavery… But, I am digressing from my original point. The flag fell out of use after the war. 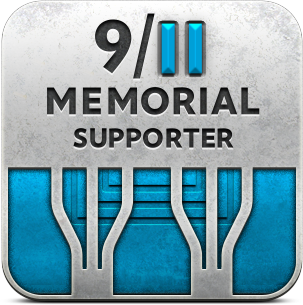 For almost 100 years, it was the flag of the lost cause and nothing more. The two sides managed to reconcile and become one nation again, the Union which Abraham Lincoln wanted to preserve. But there was tension simmering under the surface and you can take a college course that covers just a few moments in time during the 1960s and still not learn all there is to learn about the Civil Rights Movement. This is when the contemporary use of the flag became popular. It has been around for my entire life and more, and enough people are used to seeing it that they think it has been proudly flying over rebel households for 150 years. It hasn’t. While I think most people associated the flag with a sort of ambiguous concept of “the south” I don’t know of anyone who thought the flag represented slavery or dominion of whites over all others. That sort of thinking is better symbolized by the Nazi flag. My biggest frustration with this whole thing is not stores pulling the flag from their inventory, or states determining that it represents negative state sponsored speech. My frustration is that if this is such a horrible flag, with so much negativity attached to it, why didn’t anyone between 1960 and two weeks ago make any comment about removing it? 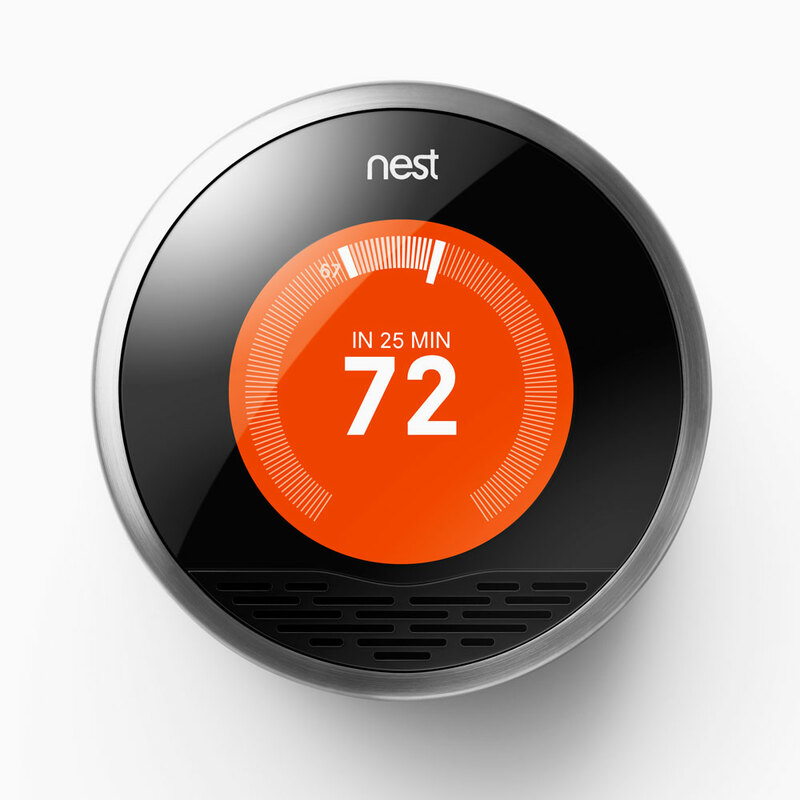 We installed a Nest learning thermostat last year when we replaced the heating & air conditioner. It’s nifty, we thought! It will learn our preferences, we thought! For quite a while (read, summer time) it was wonderful. Sometimes we would adjust the temperature on the fancy iPhone app, but it usually kept the house comfortable. Now it’s winter time, which in Southern California means we have chilly nights and can get up to 80 degrees during the day. This morning it was 40 and it’s forecasted to be 75, so a 35 degree split. This seems like the perfect challenge for a Nest learning thermostat! Figure out that we like the house to be right around 70-72, so give us a little heat in the morning and maybe a little cool in the afternoon (if at all), then only if it gets cold outside, give us a little heat at night. Not too difficult. Recently, we found that every afternoon, the heater was coming on and running hell bent for leather because the Nest had set itself to 77 degrees. We turned the temperature down. The next day, the same thing happened, we turned the temperature down again. The next day, repeat…until I finally googled this and it seems Nest will automatically set target temperatures based on what it thinks you like. I have never set the heat to 77 degrees. Ever. My husband is a walking heater so he certainly hasn’t set it to 77. Where did Nest get this idea? As it turns out, other people have been complaining about this very thing. One poor guy’s Nest was kicking up the heat to 90! The Nest is supposed to learn your schedule as you use it, and then it creates scheduled temperature actions, such as heating or cooling, based on your habits. Since we haven’t ever set the heat to 77 I’m not sure why Nest thinks we want that, but I digress. The only way to try to trick the Nest is to delete the preset schedule. Hurray! we thought, we have fixed it! John deleted the full week’s worth of preset temperature spikes to 77 degrees in the afternoon. Wouldn’t you know it. Nest has added a full preset schedule to send that temperature up to 77 every morning. I don’t want it to be 77 in the house. Ever. That’s the point I start thinking of turning on the air conditioner. Searching the Nest community forums revealed that you cannot really get rid of this scheduling feature. You can only “teach” your Nest better. Really? 8 months of teaching this thing isn’t enough for it to know that 77 degrees is hot. It’s frustrating. The concept of a learning thermostat is only as good as the programmers that allow the consumer to actually teach the damn thing their preferences. At this point, resetting the Nest to its original out-of-the-box status and starting over might be the only way to teach it we don’t want to roast. The one thing Nest does have going for it is the convenience of the iPhone app. If I had to interrupt work to walk over and reset the thermostat every time it had a hot flash, I’d be tempted to smash it off the wall instead. I think I’m going to start my own religion….Church of Baking. We will minister to the masses with muffins and cupcakes, to warm their souls and remind people of the goodness of home. We will sponsor shelters for the homeless, assist abused women and children, teach parenting classes on how to bake with your children…we will be the most amazing church to come about since some of those other big ones. We won’t discriminate against the types of baked goods we make. All types will be welcome – baklava, bagel and brownie, side by side on the plate. Everyone feeling the love of world baked good peace. Perhaps we will become so popular, we’ll even have an Arch Bagel, or even a Holy Pie in the Sky. Next, I’m going to start a company, based on my personal beliefs and values of baking for the better good. I’m going to open stores that sell my baking products and of course, baked goods. Of course, we will be successful! Who doesn’t like baking for good-cakes sakes? We will incorporate to protect the owners (me) from any lawsuits or losses of the company. That only makes good sense. Why would I risk my personal assets for the practices of the company I founded? Finally, when I offer insurance to my employees, I am not going to cover any medicines for diabetes or any kind of obesity treatments, because it would violate my personal beliefs and values. Also, if you suffer from celiac disease, gluten intolerance, oh, or any sort of allergy, like peanuts or tree nuts, just don’t bother to even ask for an Epi-pen, GI test or other treatment, because I use flour and nuts in my baked goods. That is what makes them Right and Good. Furthermore, since we believe in the Church of Baking, there better not be any candy making going on in your homes. You work for me, and what my company believes in should rule all your actions, regardless of whether you are on the clock or not. Don’t like it? Work somewhere else. That is what I am hearing from lots of people today and it makes me sad, sad, sad for America. Corporations are not people. Corporations do not have beliefs, values, feelings or religions. The OWNER has those things. If an owner does not want to be financially and legally responsible for the actions of their business, they incorporate to remove the individual from the business liability, among other things. Once the individual is out of the mix, sure the owner can run the business according to their personal beliefs, but still within compliance with state and federal laws. You can’t have it both ways – separate yourself from legal responsibility to protect your personal assets, while infusing your individual preferences into the business practices regardless of regulations, standard business practices or laws. Don’t like it? Sell your business. This is the law. It also is not a violation of the businesses beliefs and values, because it’s a business, not a person. Yes, my example of the Church of Baking is loaded with hyperbole and is ridiculous, but it isn’t far off from reality in America today. In this time of economic recovery, there are lots of people – actual humans, not corporate entities – who cannot pick and choose their place of employment quickly and easily. And yet, this cavalier attitude dominates the commentary. Self righteousness and hypocricy at its best. Am I the only one to notice the parallels in the lives of these two celebrities? Let’s quickly compare Elvis Presley and Steven Seagal. Here we go. I don’t think I really need to point out the obvious here. If Elvis had lived, his movies would be going direct to DVD as Seagal’s are now. Every ridiculous premise possible, covered by these two alone. They both are unfortunately bad actors. Granted, Elvis was a known singer before he became a movie star, and was always known as a singer first, but you gotta give Seagal credit for becoming a blues musician in his maturity. 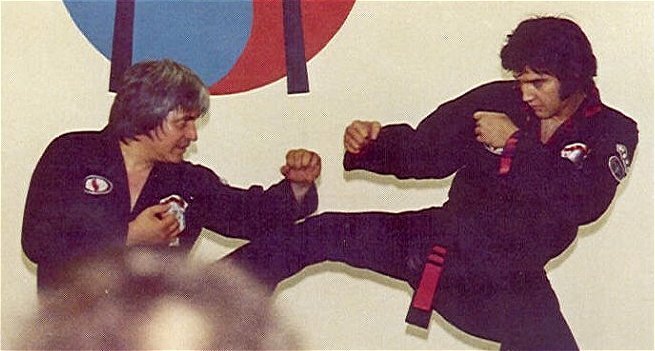 Elvis was a 7th degree black belt in Kenpo karate. 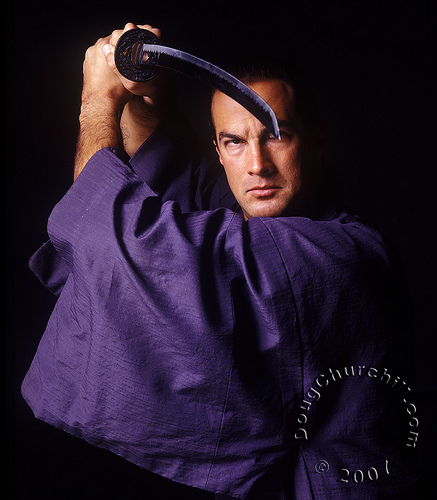 Seagal is a 7th degree dan black belt in Aikido. Elvis and Nixon. My brain is exploding. Elvis was fascinated with police badges and collected them. He wrote to former PotUS Nixon suggesting he be made an “officer at large” for the Bureau of Narcotics and Dangerous Drugs – predecessor to the DEA – in a gesture of incredible irony. During his visit to present Nixon with a gun and receive his badge, he and Nixon posed for the now infamous photo above. 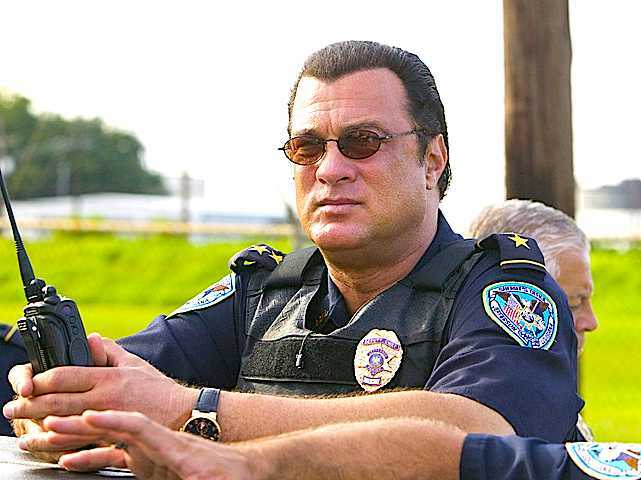 Seagal claims to have been a police officer for twenty years in the intro to his cheese-ball reality TV show “Steven Seagal: Lawman.” In reality, he is an honorary chief and reserve officer who has never even been to the police academy or received any accredited training by law enforcement. So, basically, not a cop in any definition of the word. I think they are both equally effective at fighting crime. Which is to say, not at all. There’s a shocking and sad story in the news, of a man who killed three other people, for no real reason. He didn’t like them. He was a jerk, biased and closed-minded. These murders are being called hate crimes. I wonder sometimes why all murders aren’t considered hate crimes? In this particular case, the killer was a KKK member, and the people he killed were Jewish. But, when I think about it, if a person is going to take a weapon to any particular place filled with people and then kill people, isn’t that a hateful crime? Isn’t murder hateful in and of itself? There have been plenty of murders carried out that weren’t based on KKK or Nazi rhetoric, but definitely fueled by hate. Why weren’t those crimes nationally publicized as hate crimes? These are the sorts of things that make we wonder why we label certain actions as “xyz” but other seemingly similar actions as “abc.” Do they really need any sort of distinction other than horrible? I was just reading an article about the on-going investigation of a certain Governor of New Jersey’s staffers creating a big traffic jam in retaliation against a mayor who didn’t endorse said Governor. This scandal has been dubbed Bridgegate. Monicagate – Monica Lewinsky, need I say more? And of course, we now have Bridgegate. The list of -gate scandals is getting so ridiculous that the original shock and true scandal of the Watergate break ins and the eventual impeachment of the President of the United States has been lost. Partgate, Shouldergate, Buttongate, Grannygate, Wormgate, Taxigate….we have gone from outrage to outrageous, so I challenge you, Media Scandal Namers, whoever you may be, this moniker, nomenclature, whatever you want to call it, it’s tired. It has done it’s duty as the Scandal Suffix d’jour, and it would like to be retired. Yes, the use of whatever the scandal is about in a nifty, single word name is helpful at saving time typing, but really, isn’t journalism about critical and creative thinking? Using a tired phrase doesn’t distinguish a reporter or journalist from the pack. In my opinion, it shows that person’s lack of creativity. So, yes, I challenge you. Rise above the Lazygate writing and find a new way to tell us about the misbehavior of our politicians, celebrities and sports stars.